Sweet Itch – Nothing Sweet About Me! 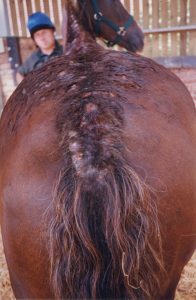 Sweet itch is a delayed hypersensitivity to insect bites resulting in an over-vigorous response by the horse’s immune system and can cause misery as soon as the warmer weather arrives along with the midges. 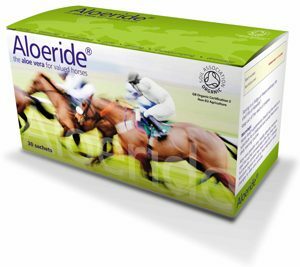 Aloeride is a pure organic aloe vera supplement, which has not only been found to help improve the horses’ negative reaction to midges’ bites, but also has a positive effect on skin condition and helps to accelerate the healing process. give on managing the condition…. If you know you own a sweet itch sufferer, it makes sense to be prepared before the warmer weather arrives. I would suggest feeding Aloeride at least 1 x month before the sweet itch season kicks in, but most of the time you wouldn’t be able to predict this! Unfortunately it often takes just one warm day for the midges to come out in force and just one bite to set the whole itch cycle to start. Therefore I would recommend that if you keep a midge/fly rug to hand to put on instantly to avoid any bites. Whilst many of our customers report back that by using Aloeride they no longer require rug protection, I always recommend that you should hang onto your rug, as I believe a multi-pronged approach to tackling the condition is always more beneficial be it a rug or fly/midge spray used in conjunction with our supplement. There are quite a few sweet itch rugs on market now, as well as a variety of topical products, which have been designed to help repel midges and soothe the irritations. Aloeride can also be mixed up with a little water and applied as a paste to help soothe irritation, so as well as working internally, it can also be applied externally! Good management is vital and there are lots of things that you can do to help your horse. For example you could try turning your horse out during the middle of the day, rather than at night or early morning when midges are more likely to be more active, especially in fields that are marshy or near rivers or lakes (which midges love). 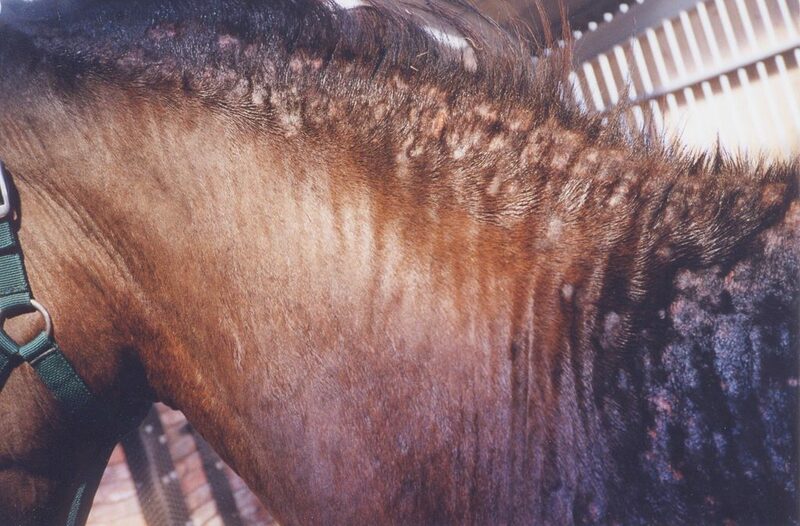 Midges also do not fly in strong wind, heavy rain or bright, clear sunshine, so under these weather conditions your horse shouldn’t be under such strong attack. 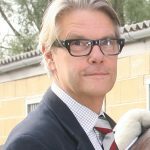 Keeping your horse stabled at ‘high risk’ times will help keep them at bay and you could try using fly strips with citronella in the stable (making sure of course that they cannot be reached) is another option. If you can turn out your horse on grazing that is well drained and also avoid fields that are next to rotting vegetation, such as leaves or muck heaps this will also help avoid the midges. Action is key with sweet itch sufferers and I hope with planning and preparation you can win in the battle against the big itch.